Many may associate hair loss as a gender biased problem, that only males are afflicted with. This couldn’t be further from the truth. Hair loss can affect as many as 40% of women with hormonal changes after childbirth, menopause, stress and even nutrition contributing to this. Hair loss for both genders can start as early as their 20s and 30s, with more aggressive hair loss in the later years around their 40s and 50s. One of the common causes for hair loss is androgenetic alopecia, also commonly known as male or female pattern baldness, and is caused by genetics. This occurs when dihydrotestosterone (DHT) a hormone that is found in both men and women shortens the lifespan of each hair follicle. When we age, we naturally also produce more DHT, causing hair loss or hair thinning. The other cause of hair loss, telogen effluvium (TE) and it occurs when more hair than usual is in the dying or shedding phase of the hair cycle. Typically this type of hair loss is more temporary for both sexes and is known to be brought on by reasons such as pregnancy, severe illness, extreme stress, thyroid disorders, certain medications, and diet and hormonal changes. With both sexes, hair loss as a result of TE is more sudden while androgenetic alopecia causes hair to thin more slowly. “It’s important to understand the limitations and potential when it comes to hair loss. 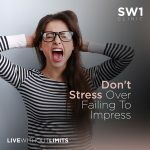 Although there isn’t any cure for baldness, there are various treatments to hold on to the hair you still have and make the best of it,” adds Dr Low Chai Ling, medical director and founder of SW1 Clinic. Clinical studies show that the 3 most effective methods to treat hair loss are minoxidil, laser treatment and prescription finasteride. It’s important to speak to a doctor to find out what is the best combination of treatment that works best for you. This active ingredient is available in over-the-counter hair loss products as a topical treatment. It has shown to increase blood flow to the scalp and promotes the health of hair follicles for thicker hair. However, this is something you need to use continuously as minoxidil works by counteracting DHT on a topical level and doesn’t stop your body from producing DHT. HAIR RECOVERY Strengthening and Rejuvenating Serum, a hair tonic that stimulates the follicle to improve fine and thinning hair while preventing hair loss, with 5% minoxidil as its active ingredient. It is believed that low-dose laser treatments can invigorate circulation and stimulation within the follicles that encourages hair to grow. This treatment is known to be safe and effective. In a 2013 study which included 41 males between the ages of 18 and 48, it was found that laser hair treatment provided a 39% increase in hair growth over a period of 16 weeks. Strengthen weakened roots and rejuvenate thinning scalp with Keramax Scalp Program which includes a series of treatments using FDA approved Revage 670 laser, proven to stimulate the growth phase of hair follicles. In addition, a series of Revitascalp sessions, to support healthy hair growth with an added boost of Minoxidil is included in this package. This is prescription-only medication and helps prevent hair loss by blocking the body’s production of DHT. Unfortunately this drug isn’t recommended for women as it’s known to cause birth defects. Get a prescription from your trusted doctor. Your doctor should monitor your use of this medication to ensure it’s safe for continued use.